How Many Ways Can I Use Cinnamon? I just want to reiterate that I LOVE cinnamon; without a doubt, it’s my favorite spice/flavor. I’m always looking for ways to consume it, be it via cinnamon rolls, a sprinkling in my hot cocoa, cookies, anything. 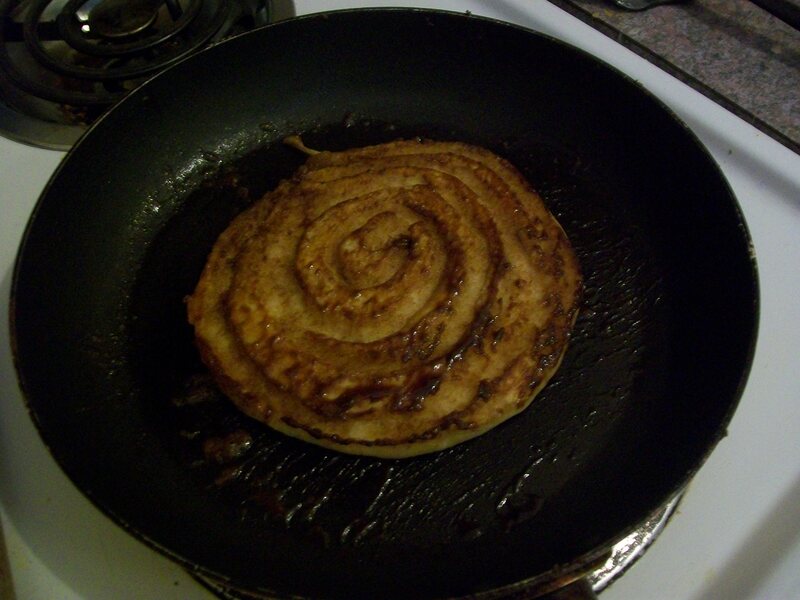 I have a go-to cinnamon roll recipe, but even though it only takes about 90 minutes from start to finish, I still find baking them to be a messy hassle and not worth it for how often I crave them. 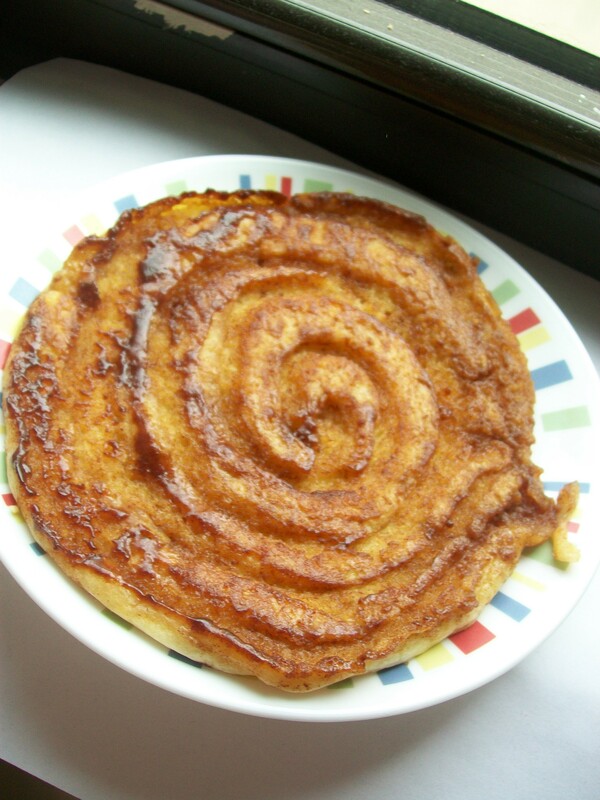 Enter Cinnamon Roll Pancakes from Recipe Girl! They’re pure heaven on a plate, that’s the only way to describe them. 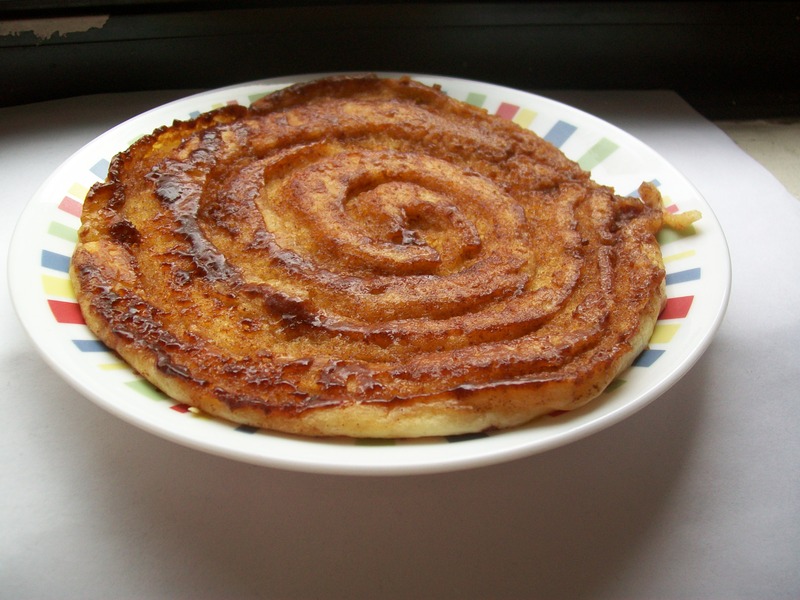 The cinnamon swirl cooks up and becomes crusty and delicious, spreading all over the pancake and creating a wonderfully crystallized coating. The first time I made them I decided against topping them with the glaze. They were perfect plain, and even though Recipe Girl highly recommends the glaze, it seemed like overkill when I topped them with it the second time I made them. 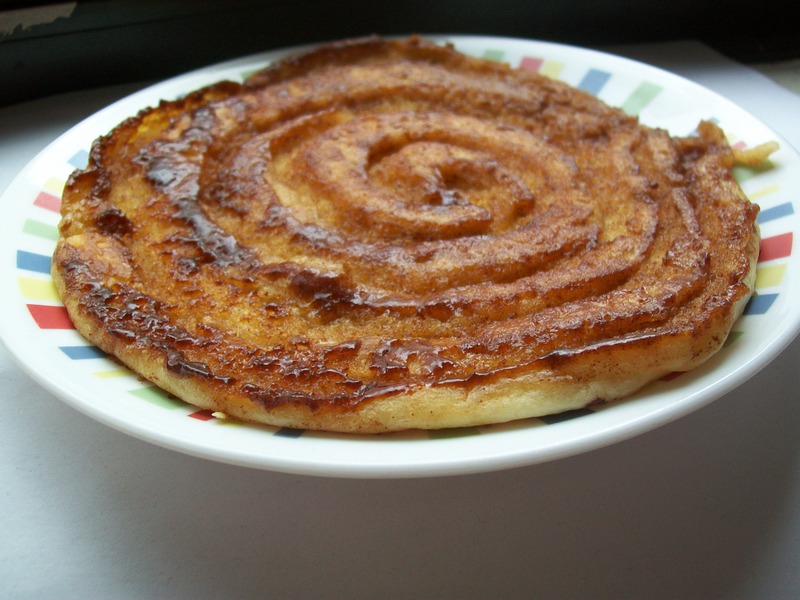 One issue I had with this recipe came up when I actually flipped the pancakes to cook the swirled side. 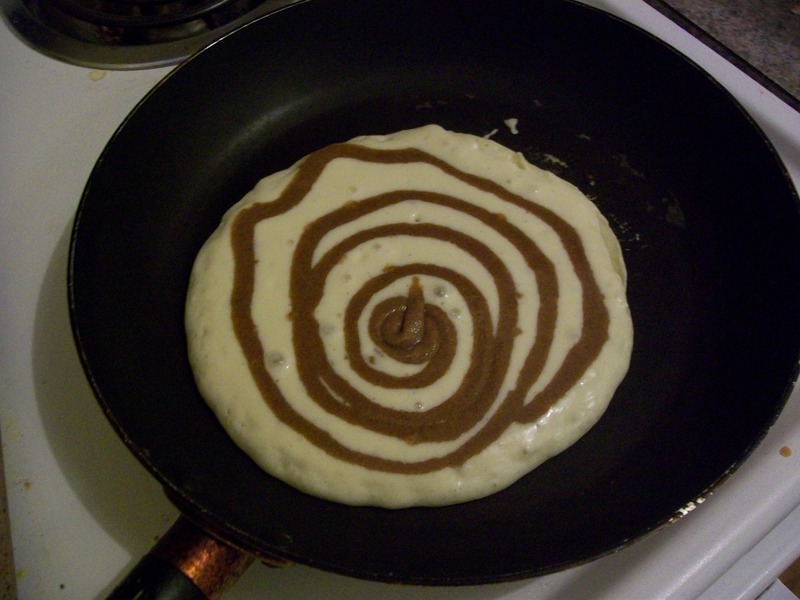 More often than not the swirl would seep out from the pancake and start to burn in my pan. 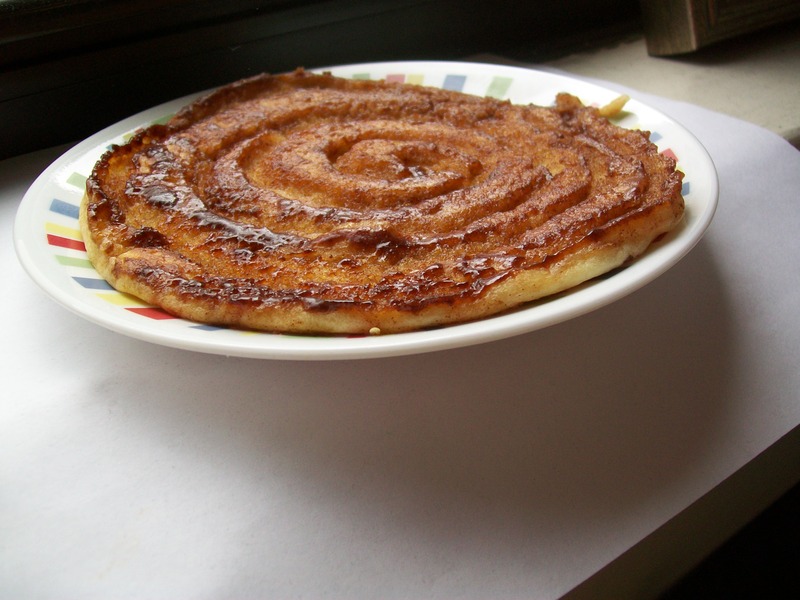 A few times that led to some smoking and burning, with me begging and pleading with the pan to not get too smokey and burned. I ended up rinsing out the pan after each pancake in order to avoid this, but that made the whole process take a lot longer than I anticipated, since I had to wait for the pan to heat up again each time. The final results were entirely worth this slight hassle, and I think I’ve found the perfect substitute for when I want cinnamon rolls but don’t want to make a giant mess with flour all over the counter. The almost instant gratification with these isn’t so bad either, which is perfect for my impatient self. 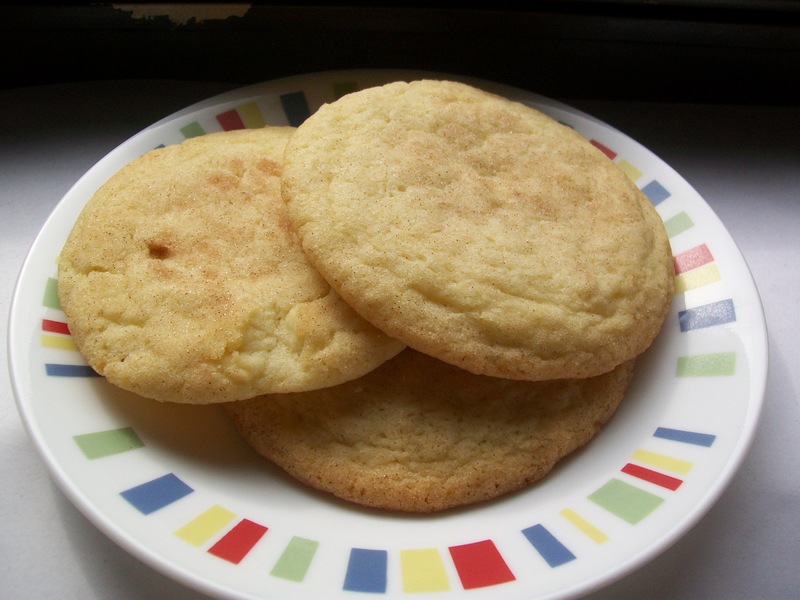 And because this wasn’t enough cinnamon, I also tried my hand at a new Snickerdoodle recipe from Smitten Kitchen. 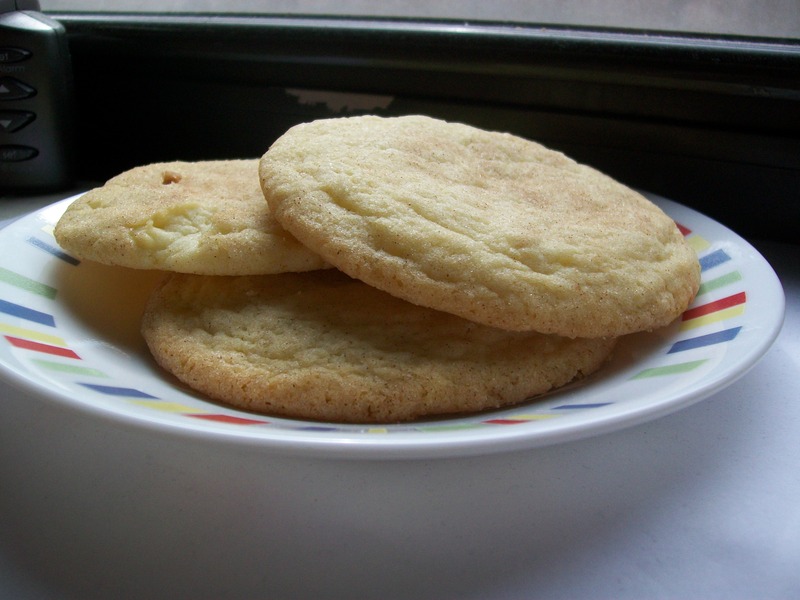 This is probably the best one I’ve tried out so far, so I’ll stick with it if I want snickerdoodles in the future. They went over really well when I brought them to a party at work, however they didn’t all disappear and so I brought the remainder home. For some reason they didn’t all get eaten immediately, but that was actually a blessing in disguise. These cookies stay soft for SO LONG. I only had them in a ziploc bag, but they stayed fresh and delicious for more than a week. I’ve never experienced this with cookies before, and I wish I knew what was so special about them to have this result. 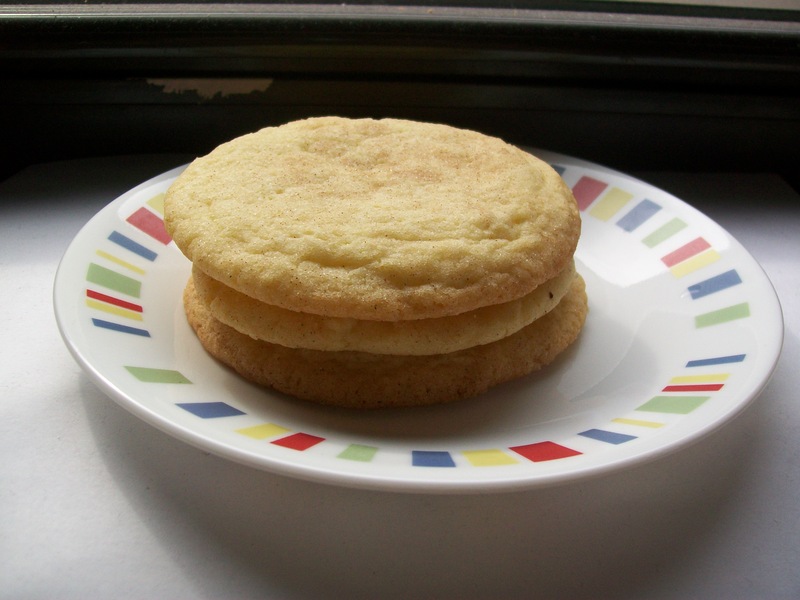 For this reason alone–never mind that they’re delicious–these snickerdoodles get a top-notch rating and my wholehearted recommendation to everyone.